IK Multimedia introduced iRig Keys I/O, the new breakthrough keyboard controller range featuring a built-in audio interface. It will be available in October 2017 and is now open for pre-order. 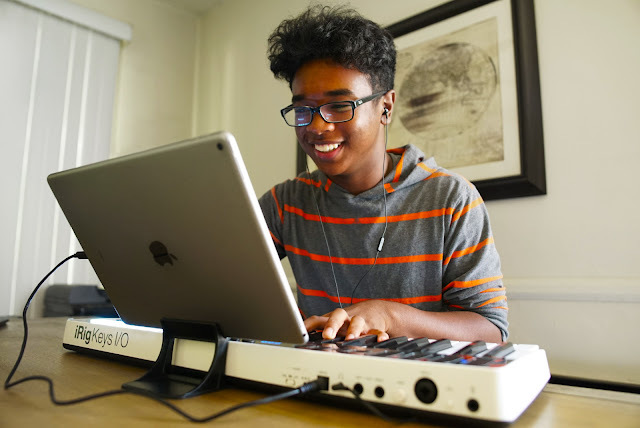 The only keyboard controllers with 25 or 49 full-size keys to integrate a professional high-definition audio interface, iRig Keys I/O features 24-bit audio up to 96kHz sampling rate, a combo input jack for line, instrument or mic input with phantom power, balanced stereo output and high quality 1/8" headphone output ideal for use with the latest Apple® devices like the iPhone® 7. iRig Keys I/O also includes all the controls users would expect from a premium keyboard, including velocity sensitive multicoloured pads and programmable touch-sensitive sliders, buttons and knobs in an ultra-portable package that includes everything needed to create complete music productions and is unmatched for speed and simplicity to connect and set up. 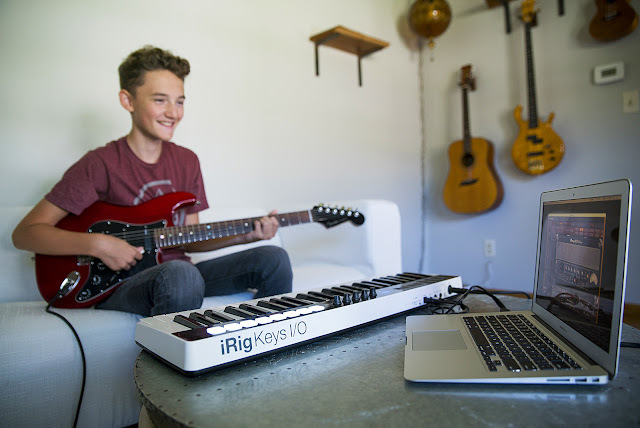 iRig Keys I/O is the only controller range currently available on the market today featuring a professional 24-bit, 96kHz capable audio interface. This keeps cabling to a minimum and makes setting up as fast and easy as just plug and play. 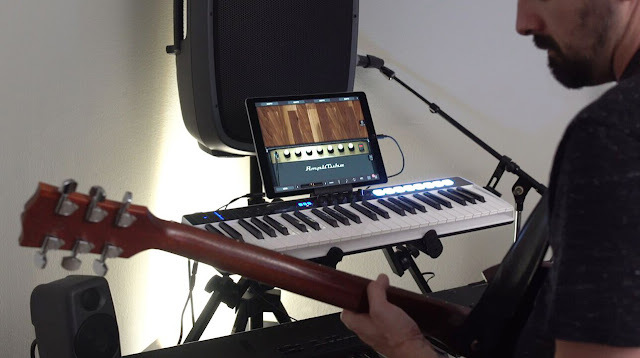 For recording the combination input handles 1/4" or XLR sources and provides the best possible audio quality with a Class A preamp for dynamic and condenser mics (including 48V phantom power), to line instruments along with guitars and basses. When used in live performances the 1/4" balanced stereo output allows for long cable runs directly to a PA or mixer which is perfect for keyboard players and DJs. 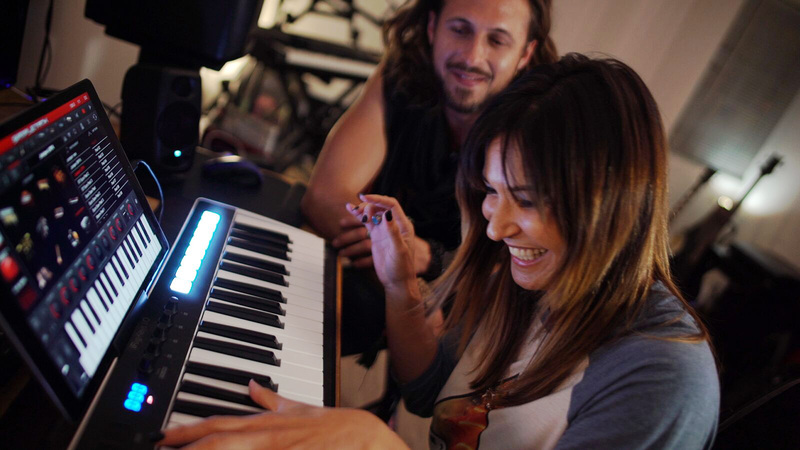 All of this makes iRig Keys I/O the ideal creative tool for studio or live use, in any situation, providing a solution that is more convenient and affordable than having to buy a controller and audio interface separately. iRig Keys I/O will be available in October 2017 and can be pre-ordered now from the IK Multimedia online store and IK authorised dealers worldwide for the remarkably affordable price of only $/€299.99* for the 49-key version and $/€199.99 for the 25-key version. 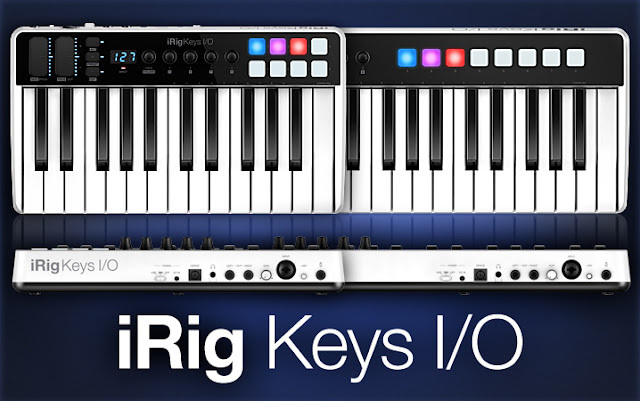 In addition to the massive bundle of included software, iRig Keys I/O also comes with 4 x AA batteries, Mini-DIN to USB and Mini-DIN to Lightning cables and a device stand for iPhone and iPad.